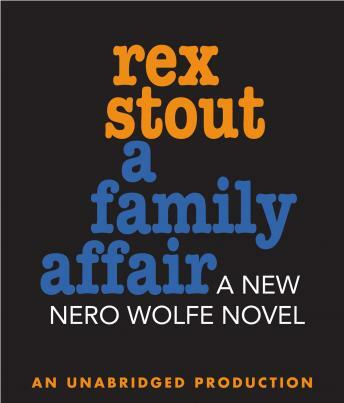 Nero Wolfe's last recorded case! Wolfe never works without a well-heeled client and a sizable fee, but when a bomb racks his brownstone, killing his favorite waiter from his favorite restaurant, the world's greatest gourmet takes it as a personal affront. What kind of unsavory killer commits murder within ten feet of a legendary detective? It's a question Wolfe will go to heroic lengths to answer. But even as he and Archie uncover an unappetizing brew of conspiracy and lies, the killer serves up a second helping of homicide and Wolfe is left to face a most unpalatable truth.